Search tools enable you to search the attribute data in the tables or search addresses and locations. 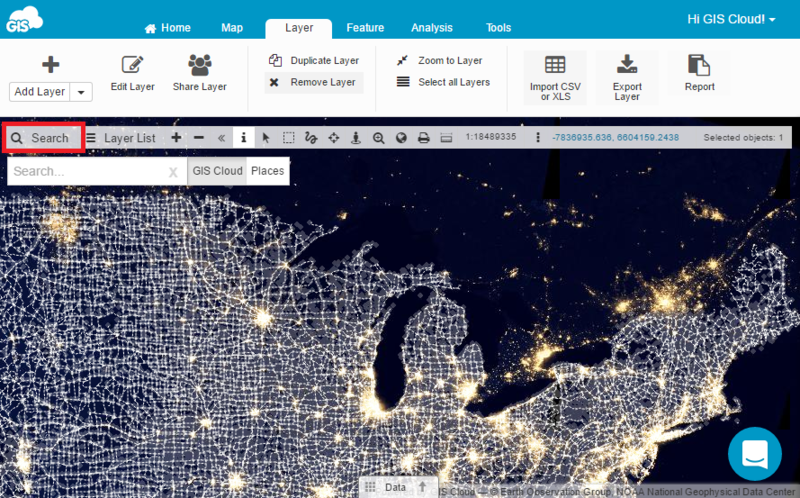 GIS Cloud search works both with file and database layers. You can find Search option in the toolbar. 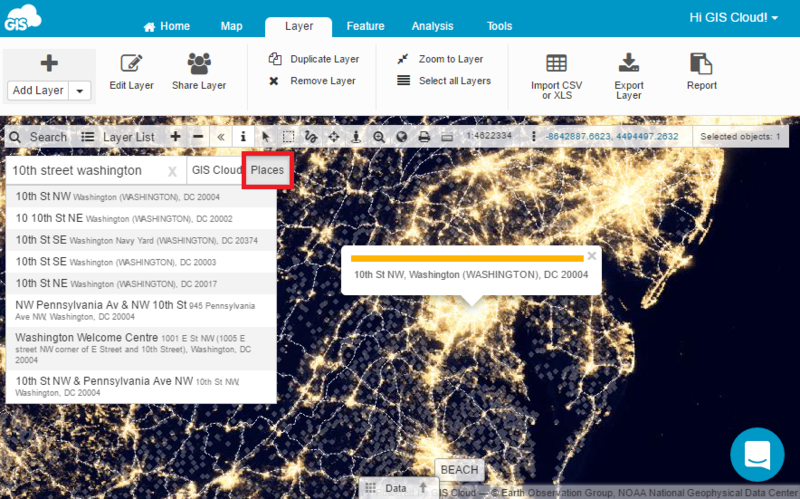 You can easily search attribute data in the layers in the map. 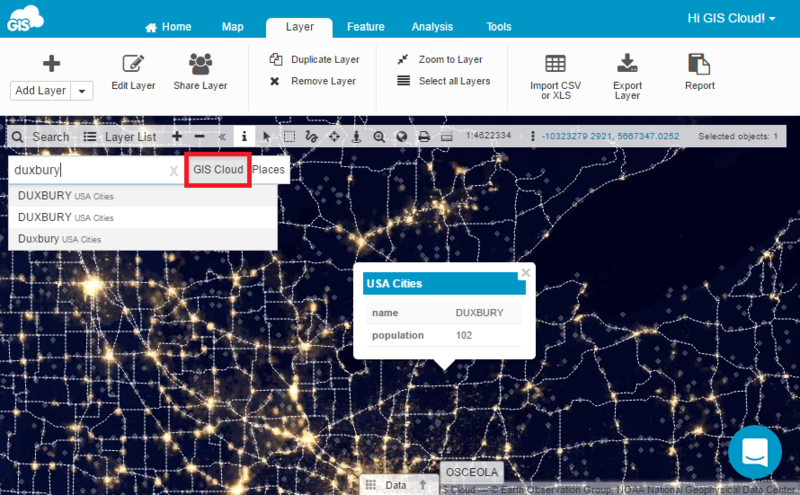 Click on the GIS Cloud button and search for a word or part of the word in the data table. Results will be visible in the drop down menu together with name of the layer. Click on the feature and map will zoom to the selected feature. Click on the Places button and browse addresses and locations with HERE service. This search is applicable on all base maps. In the box write a location or an address and hit Enter. Results will show in the drop down list. Click on the address from the list and map will zoom to the selected location.